type of loaf! All around amazing and intriguing what you say about 1 hour room proof in banneton before going into the cold fridge. It is magical when one finds a timeline and process that works with the flour and all the equipment at hand! I used to leave 2 hours in the banneton at the counter, but one day I saw a recipe from Trevor or Maurizio, I do not remember, it only had 1 hour, so I started to test like this, it seems to give a good result, it had a good grow in the refrigerator too and due to low temperature not overproofed. 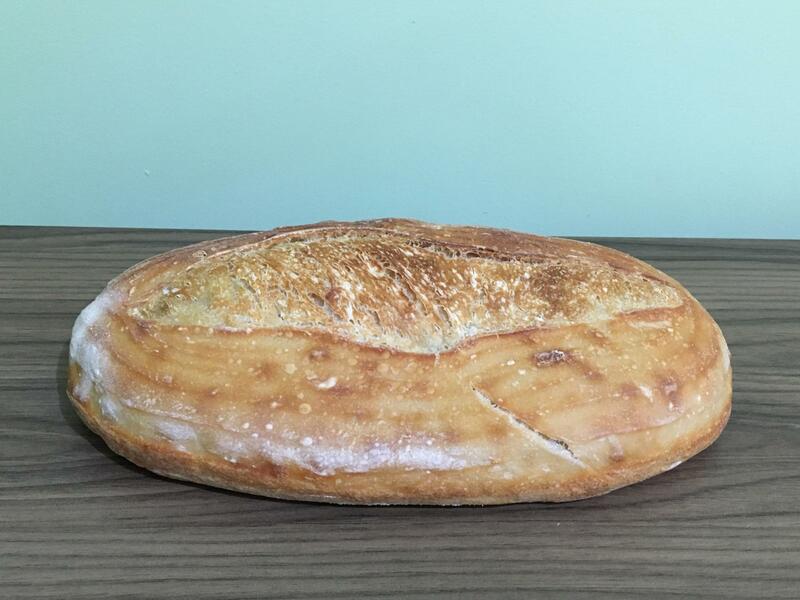 I do not cut almost parallel to the bread, I think it's more a 45º angle. I have been lucky with these ears, I think, it has been difficult to cut into the hot pan and often end up going wrong and having to make adjustments. Well done. The organic flour provided a nice loaf. Some folks here are adding vitamin C from tablets, which has ascorbic acid that can improve dough structure. Check some posts from DanAyo who is using about 0.1% vitamin C in the dough. Maybe it can help to improve the dough structure for the non-organic flour. Another option may be adding vital gluten that should also help to improve dough structure. Thanks for your comment and for the tip, I will check these posts, DanAyo is always with good experiments going on!